The Year in 2014 Photos: Unique ideas that got our attention in 2014. 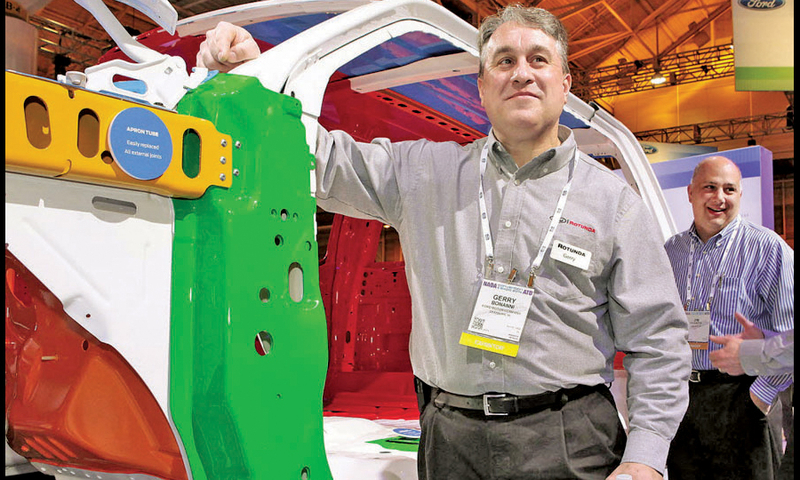 At the NADA convention in New Orleans in January, Gerry Bonanni, a senior body engineer at Ford, proudly demonstrated how the 2015 aluminum F-150 was put together. 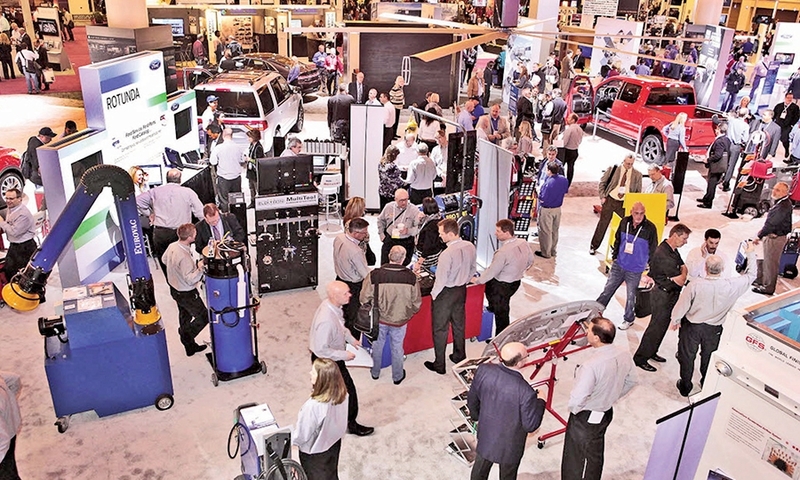 Attendees crowded the Ford exhibit at the NADA convention in New Orleans to check out service tools available to repair aluminum body panels in the new F-150. 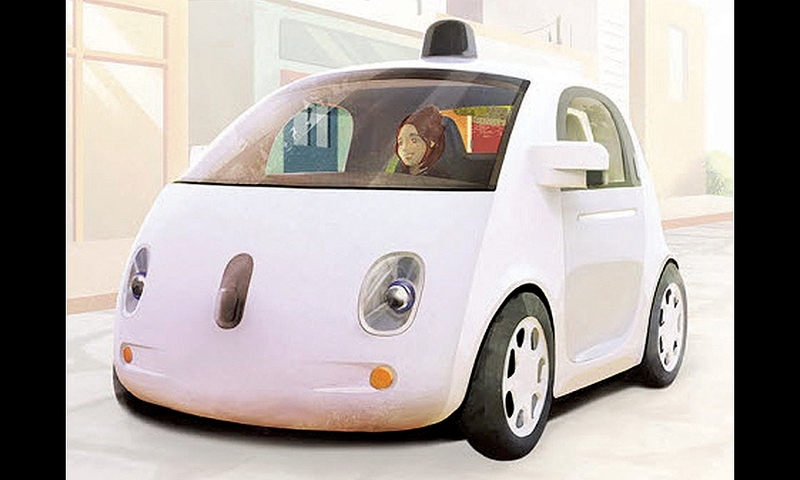 Google based the first generation of its self-driving car on the Toyota Prius and the second on the Lexus RX 450h. Its third prototype fleet, the largest yet, will use an egg-shaped design of Google's creation. 3-D printing — the forming of industrial objects one ultrathin layer at a time — is increasingly used for vehicle prototypes and parts testing. 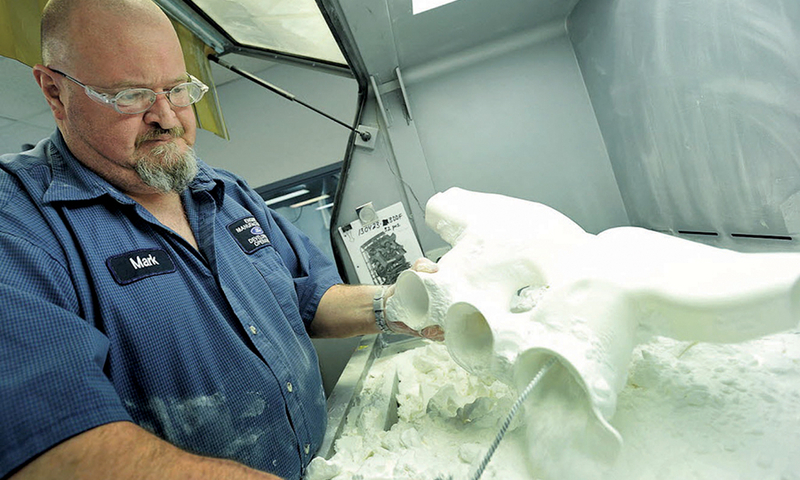 Above, Ford employee Mark Smith processes a prototype air duct after it was printed. Left, Ford employee Kevin Sowles removes excess powder from a 3-D printed calibration tool.